Grace Scott, 94, passed away peacefully July 8, 2018 in Nashville, TN. 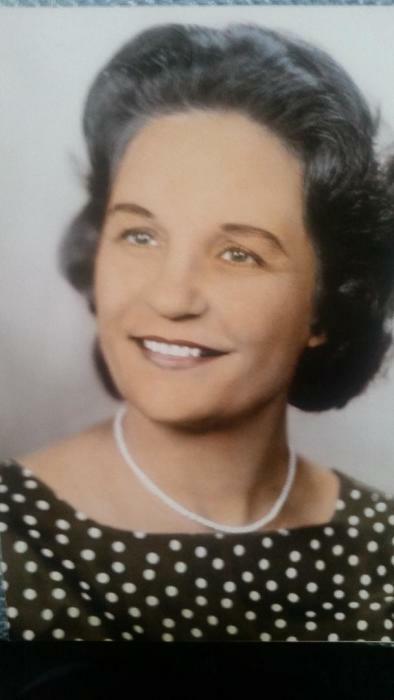 She was born November 16, 1923 to the late Alvin Chancey and Mary Colson Chancey. She was a loving mother, grandmother, and great grandmother. Along with her parents, she was preceded in death by 2-children: Nick Scott and Starr Roberts. She is survived by her children: Scottlynn Eley and her husband, Jim, Edwin Thomas and his wife, Connie and Elaine Hamilton and her husband, Don; 4-grandchildren: Lawrence Thomas, William Manor, Brett Thomas and Gordon Scott; 4-great grandchildren. Funeral services will be held Saturday, July 14 at 2:00 PM in the Shepard-Roberson Funeral Home Chapel. Interment will follow in Sardis Cemetery. Condolences may be expressed by signing the guest registry at shepardfh.com. Arrangements are under the direction of Shepard-Roberson Funeral Home in Folkston, GA.